Tip 4: Talk about events and accomplishments, just make sure your reader knows what you’re talking about and that they will actually care. 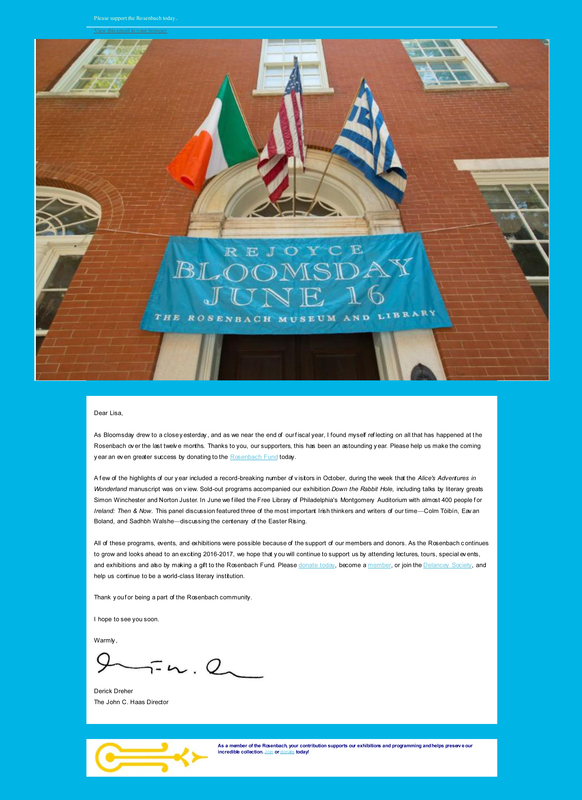 In this case, what is Bloomsday, why does it matter that it’s over, and why should the reader care? Institutional Speak: Sadly, the message continues to slide downhill with the third sentence: “Thanks to you, our supporters, this has been an astounding year.” There are several problems with this sentence. First, the author is thanking my wife for support she did not provide. Second, is the author writing to my wife (“you”) or to some broader group (“our supporters”)? The slip into broad, institutional-speak is a not good. Third, use of the word “astounding” is vague; was the year astoundingly good or bad? You have to wait until the second paragraph to discover that the author probably meant astoundingly good. Tip 5: Remember that you are one person writing to one person. Your language and tone should reflect that no matter how many email and/or direct mail appeals you send. You’re not addressing a group in each individual email or letter. Again, my wife did not donate to support the Rosenbach within the past 12 months nor has she attended any events or programs in that time, so she did not help make the programs possible. Second, the author does not bother to tell the reader anything about the so-called “exciting” events that are upcoming that might actually inspire support. Also, it was a missed opportunity to re-engage my wife by encouraging her to attend a specific upcoming program. Tip 6: Establish a case for support. You can be pithy, but you still need to explain where the donor’s money will go and why you need it now. If there’s an opportunity for engagement, seize it. The Ask: Toward the end of the email, the author writes, “Please donate today, become a member, or join the Delancey Society, and help us continue to be a world-class literary institution.” First, there is no specific dollar amount requested. A solid appeal will almost always ask for a specific dollar amount. For renewing or lapsed donors, the amount requested will ideally relate to that individual’s prior support. In other words, you wouldn’t want to ask a $1,000 donor to give $25, nor would you want to ask a $25 donor to give $1,000 in this context. Second, does the Rosenbach prefer that my wife donate or become a member? It’s unclear and confusing. The message is made even more confusing by suggesting she consider becoming part of the Delancey Society; the reader has to click through to find out what on Earth that is. 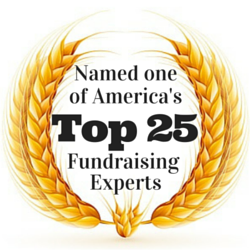 Tip 7: Ask for a specific dollar amount that is appropriate given the donor’s giving history. Do not muddy the waters by asking for more than one thing. Unless its fundraising costs have been completely underwritten — the author does not mention this anywhere — the Rosenbach is not using “100%” of each donation for the purposes outlined. A portion of the donations will actually go toward fundraising expenses and other overhead costs. By suggesting that the full amount of each donation goes to mission fulfillment, the Rosenbach is being misleading. Tip 8: Always be honest. Avoid clever linguistic gymnastics that might allow you to be technically accurate while still misleading your reader. Truthfulness helps build trust, which helps build support. Because we can all improve our email and direct mail skills, what are some of your favorite tips? If you’ve sent or received an excellent email appeal, please provide a link to it in the comment section. UPDATE (August 29, 2016): I recently received a message from Sara Davis, the Rosenbach’s new Manager of Marketing. It’s a superb example of how to turn criticism into an opportunity. You can read her message and my comments about it by reading “Do You Know How to Take Criticism?” In addition, you can vote in a poll about whether I should continue to name names. This is one of your best posts! Thank you for saying all of this. I’d like to add that fundraisers need to stop looking at open rates. They don’t matter. It’s click-thru’s and (even more importantly) engagement online including donations, downloads, and time on site that really matter. Greg, thank you for your kind comment and for the link to your terrific post. Measuring MEANINGFUL outcomes are the only things worth tracking. I appreciate your insights. …or the FYE letter we got from a small organization where we are among the highest level donors (it’s a low bar at this small org)…where the letter made no mention of our more-than-most support, was not signed, no personal note (e.g., “thanks for being there for us earlier in the year”), was addressed by mailing label, and this is the best part…we received two identical generic copies of the same letter… We still love and support the organization, but really. Kevin, thank you for sharing your experience. One of the things that disturbs me about charities not fundraising in a competent way is that the result is less money for mission fulfillment. As fundraisers, we might be willing to cut a fellow fundraiser some slack; unfortunately, others are less likely to do so. As for the charity in your story, they would be very wise to try to hire you as a consultant. Mrs. Rosen is exactly right. With a headline that bluntly asks for a donation, why bother to read the content of the message? We are all pressed for time. A better headline might be to mention the names of the guest speakers, or to rouse the reader’s curiosity with something more offbeat and cryptic, like “Rabbits, Ireland, and More Fun in the Year Ahead”. That would, of course, require the author to know the events for the year ahead. In that regard, fundraisers are oftentimes, frustrated by their own organization’s inability to prepare its programs in sufficient time for the fundraisers to present their organization’s story in a compelling way because they lack basic facts. Even if this appeal had a compelling story, it was still sent to a scattershot audience. Non-donors, Rosenbach Fund donors past and present, Rosenbach Members, and Delancey Society Members are all treated as the same donor. This gives the fundraiser no opportunity to say to non-donors, “Wouldn’t you want to be part of our group?” All the recipients were treated as current Rosenbach Fund donors, with no opportunity to say to lapsed donors, “We miss you!” Most important, there was no opportunity to recognize the most deeply-committed groups, the Members and Delancey Society Members, and treat them as the “insiders” who are fully aware of the connection between their donation and the health of the program and the variety and abundance of activities, and could be engaged in a deeper discussion of the organization’s longer-term plans. The appeal your wife received was a “one size fits all” shirt that doesn’t suit anybody particularly well. Gina, thank you for making an excellent point. Writing a one-size-fits-all appeal is certainly easier for a fundraiser, but it’s not nearly as effective as crafting targeted appeals for specific audiences. By the way, you can always feel free to call me “Michael.” You’ve probably noticed that I always refer to people by first name in my responses to comments. There are several reasons I do this. The number-one reason is that I often only see someone’s first name when they write. Also, some first names don’t make gender identification possible. In addition, it’s often impossible to know the correct pre-title (i.e., Dr., Mr., Mrs., Ms. Mx.). Finally, I want to maintain a reasonably friendly, open, welcoming environment here. So, for all of these reasons and more, I’ve opted for consistency and informality. I just thought I’d mention it since I raised the issue of forms of address in my post. Well, well done analysis, Michael! The best way to talk about how things should be done is to use real-world examples. Paul, thank you for sharing your thoughts. The theoretical or academic is often easier to ignore than real-world examples. I hope that providing an actual example, the points will be made much clearer for folks. Michael, you make excellent points. Every nonprofit should be able to write a great subject line: that costs no money at all! If the nonprofit has any kind of donor database, they should be able to segment their list: at the very least, into prospects and renewals. And appeal letters should always be written TO somebody, FROM somebody. 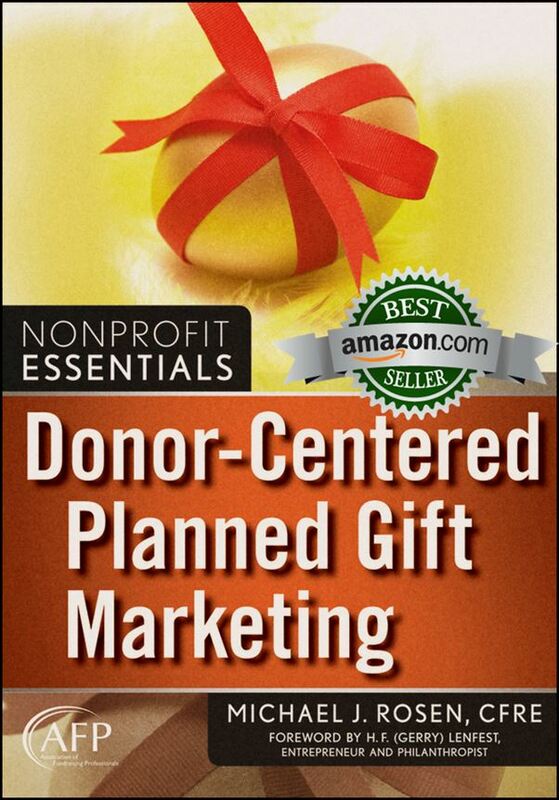 About those salutations you mentioned in Tip 2: I asked a group of nonprofit consultants,”You have a donor in your database and you don’t know their gender. When you send them mail, what do you call them? Dennis, thank you for your comment and the link to your post. You’re right; ideally, charities will use the salutation form that is preferred by the individual they are contacting. I’ll have more about that in an upcoming post. However, when a charity does not know how a donor wishes to be addressed and where there is nothing but a transactional rather than personal relationship, I continue to suggested erring on the side of more formal social convention. If a charity chooses to deviate from that form, it should do so with some consistency. For example, if a letter addresses me by first name, the signer should sign only his/her first name. My all-time favorite handling of salutations by one of my clients occurred years ago. A chamber orchestra’s Music Director agreed to hand-sign each of the direct mail letters. The salutations all included the person’s pre-title. The Music Director signed his name and wrote a quick P.S. such as “I hope you’re enjoying the season.” Whenever he came across a name he knew (i.e., a prominent donor, a subscriber, a patron he had met, etc. ), the Music Director crossed out the formal salutation and wrote in the individual’s first name. The P.S. message was then appropriately personalized. Needless to say, the extra effort really paid off big time. By the way, one problem with using a first-name salutation is that it is often difficult to get it right. In the case of the Music Director I mentioned, he used a first-name form of address when he knew the person and what there first name actually was. For example, just because someone is listed on the database as “Robert” does not mean they actually go by that name; “Robert” might actually prefer to be called “Bob.” Calling him Robert in an attempt to personalize the letter might actually have the opposite impact if “Robert” is really a “Bob.” So, again as you suggested, we need to know the individual’s preference. Hello, Michael: the NFP where I work has a significant number of people in our database who are gender non-conforming. As a consequence (I’m told) we have actually had backlash when we used gender-specific titles. I’m trying to compel my colleagues to use them when the recipient is both older and the gender has been made clear, but it is an issue. Lorraine, thank you for taking the time to share your own challenge. The key is to address people how THEY want to be addressed. I’m old enough to remember when “Ms.” was just beginning to gain traction. Many older women objected to being addressed as “Ms.” rather than as “Miss” or “Mrs.”; by contrast, younger women were initially more receptive to the new pre-title. Then, as now, the key was to address people as they desired. To accomplish that required organizations to ask and to give folks options. Today, many (though not enough) organizations give people the option to be addressed as Mr., Mrs., Miss, Ms., Mx., etc. The gender-neutral or non-binary form is “Mx.” (By the way, I have no idea how one is supposed to pronounce “Mx.”) If one doesn’t know the preferred pre-title, it might be a good idea not to use one and, instead, refer to folks by first name or first name and last name in a salutation. I’ll be writing more about this issue within the next couple of weeks. It’s pronounced like Mix, according to friends of mine who are in a position to know.